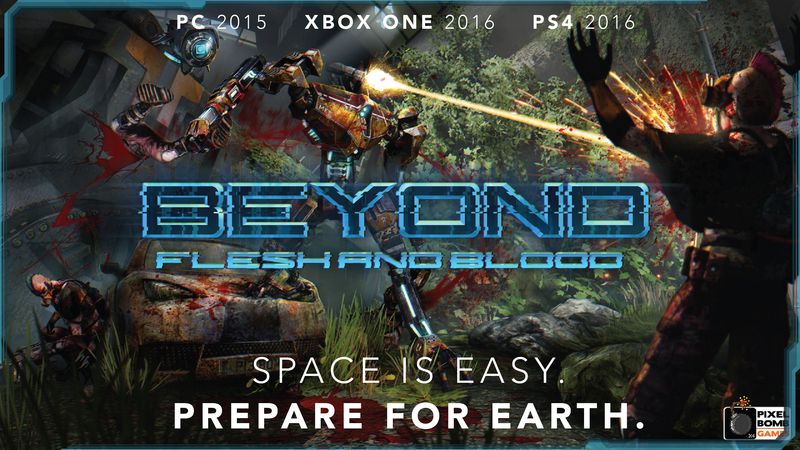 A small part of the back story world in Beyond Flesh and Blood has been found online at XboxOneUK.com. The Xbox One UK team are one of the most passionate UK communities on Xbox, along with the guys at True Achievement, Xbox Tavern, True Xbox and This Is Xbox. As it happens, an enigmatic backstory, centring around Manchester, has emerged as part of the Beyond Flesh and Blood story world over on Xbox One UK. They've also included some fresh concept art with the post and will be publishing a sequel shortly.